Just thought we’d share a couple of interesting science news bits that we’ve come across lately. First up: TED, the Twitter Earthquake Detector. …gathers real-time, earthquake-related messages from the social networking site Twitter and applies place, time, and key word filtering to gather geo-located accounts of shaking. This approach provides rapid first-impression narratives and, potentially, photos from people at the hazard’s location. The potential for earthquake detection in populated but sparsely seismicly-instrumented regions is also being investigated. Closer to home, and sure to please all you dinosaur fans out there, is news from the Morrison Natural History Museum about the discovery of a set of tracks believed to have been left by juvenile sauropods — running. The find was revealed at Monday’s 2010 Geological Society of America Annual Meeting and Exposition in Denver (read the abstract here). If this interpretation holds up, it most likely represents the first evidence that these massive, long-necked herbivores locomoted at anything other than a leisurely saunter. Plus, the lack of foreleg prints and tail marks indicates that young sauropods may have run on their hindlegs, holding their tails off the ground. while others argue that the way sauropod legs are positioned under their bodies would make that style of running impossible. Further analysis of the paper and the tracks will tell us more. Read about it here: Dinosaur footprints yield clues to running behavior and here: Did wee little sauropods stand up to run? Today is “Ask a Curator” Day! 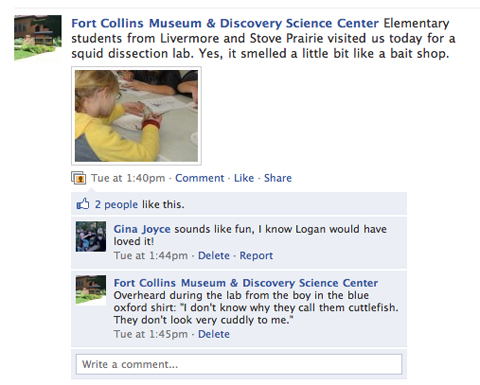 I work with a bunch of museum curators, and let me tell you, they know a LOT of interesting things. Multiply that by all the museums in the world, and you’ve got a major collection of smarty pants. Today marks the launch of a cool online project called “Ask a Curator Day.” The project is using Twitter to give people a chance to ask curators all over the world those burning questions that only a museum geek can answer! Over 100 museums in the U.S. alone are participating, plus museums from all over Europe, Canada, South and Central America, Africa, and Australia. If you can’t get your question answered by one of these folks, well, I just don’t know what to say. 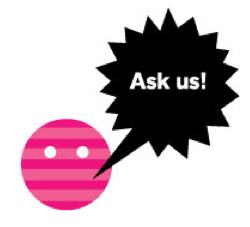 You can find out how to participate by visiting the “Ask a Curator” website. There you’ll find directions for using Twitter to ask your question, and see a list of all the museums that are part of the project. If you find out anything interesting, let us know! This past April, Twitter announced that it is gifting the entire archive of public tweets to the Library of Congress (LOC). That’s right, every public entry of 140 characters or less made from March 2006 on will now be preserved in perpetuity by the LOC. 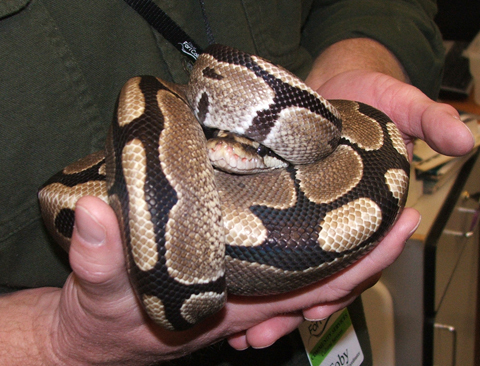 Besides being thrilled that our very own Ball python Slinky is in the LOC – do you follow his tweets? Find him at SlinkyWorld and learn more about snakes, what’s happening at the Museum, and life in general from a reptilian point of view – I think it’s a valuable and forward-thinking move on the part of the LOC to begin archiving our tweets. Why’s that, you ask? Well, I think that our collective tweeting will be immensely useful for future research and historic preservation because Twitter is part of our historical record. Even though each tweet is at most 140 characters long, compile all the tweets together (over 50 million/day right now) and you get an incredibly detailed picture of life in the 21st century. P.S. Want to follow the LOC on Twitter? You can find them here.